TripAdvisor, Hotels.com and Booking.com awarded the db San Antonio Hotel + Spa an accolade of awards for the exceptional level of hospitality and service delivered throughout the year to thousands of guests who have stayed with us. These awards are based on guest's reviews submitted on a daily basis after their holiday experience at the db San Antonio Hotel + Spa. Amongst these awards Expedia awarded the hotel as ‘Top Producer’ for Package Room Nights, in the 4 star category whilst Hotels.com awarded the Hotel ‘ Top Local All Inclusive’ which made the hotel part of the top 100 in Europe. "The high scores and amount of awards are increasing year on year, giving proof that the level of hospitality that we are offering to our prospective guests is being highly appreciated. 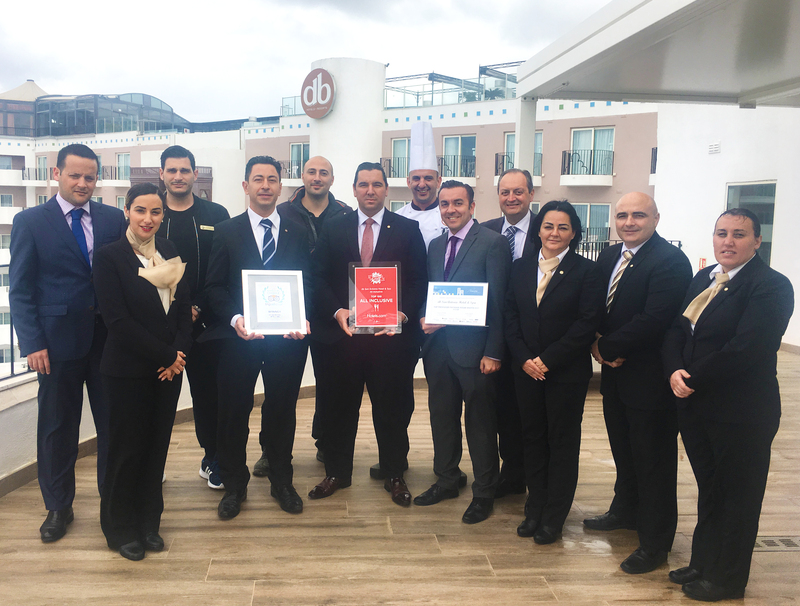 It is our privilege as a team to be accredited with such awards, as this shows that our commitment of excellence in everything we do is being delivered", said Bradley Dingli, General Manager, db San Antonio Hotel + Spa. Mr.Dingli thanked all past guests who spent their stay at our hotel and invites them to spend their next holiday with us in the near or distant future.